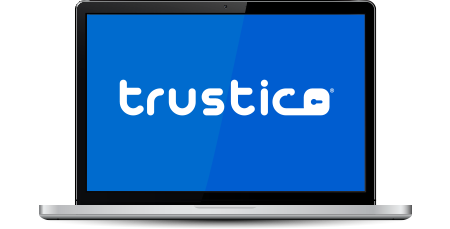 When you become a reseller of SSL Certificates at Trustico® you will receive exceptional service that puts you in control of your frequent SSL purchases. Get access to SSL Certificate special offers, bulk SSL Certificate discounts and a preferential SSL reseller pricing structure. Access to the reseller service is free and offers exceptional value for money for regular purchasers. Becoming a Trustico® reseller means that you are able to control your margin and set the price for every SSL Certificate that you sell. There's no ongoing fees or charges, just pay for what you use! Our goal is to enable web hosting companies, internet service providers and related internet based businesses to integrate SSL Certificate products into their own product portfolios. You can start offering your customers the highest industry standard SSL Certificates, Site Seal and Anti-Malware security solutions from top providers. We are continuously updating and expanding our product range to meet the ever changing needs of your customers. Comodo® is the world's largest provider of SSL Certificates and offers the industry's highest levels of SSL Certificate encryption, brand recognition and reputation. Trustico® no longer trusts Symantec® or Digicert® and now works exclusively with Comodo® with the benefit of added features and a wider range of products and services. Comodo® secures more than 500,000 web servers worldwide, more than any other Certificate Authority. Companies, governments and public institutions worldwide trust Comodo® to secure their sites and protect their brands. In 2018 Trustico® signed an exclusive deal with Comodo® to offer a wider range of products and services. Comodo® & Trustico® products offer hosting providers and businesses with a diverse range of world class digital certificates for fast transaction security and highly trusted dynamic website trust seals to ensure consumer confidence by giving businesses a trusted identity on the web. PositiveSSL Certificates lower the barrier of entry for companies wanting to secure lite levels of e-commerce quickly. The single root install makes implementation of SSL into a website very straight forward. Issued instantly, PositiveSSL Certificates are a popular choice for many small businesses. InstantSSL Certificates offer a robust choice of digital certificates from Extended Validation SSL Certificates to Code-Signing Certificates. InstantSSL are prospering as an innovative and successful product range powered by Comodo®. Your reseller account is billed in United States Dollars (USD) which allows us to pass direct savings from our suppliers to you, without the need to deal in foreign exchange variances or market conditions. In addition to our low standard reseller prices we are also able to offer a tiered pricing structure and bulk purchasing discounts. If you're looking for a special arrangement please call us on +1 (302) 442 7313 and let us know your requirements. The Trustico® SSL Reseller Service is a 100% white label system which means your customers are your customers. We'll never send your customers to our retail site or contact them with marketing material. Our SSL Reseller Service is fully automated and fully re-brandable enabling you to offer SSL Certificates to your customers via a sophisticated online ordering system, without having to invest in creating the technology and infrastructure. Our order system is linked directly to the issuing Certificate Authorities which means your SSL orders are completed in real time and fulfilled automatically. With the Trustico® SSL Reseller System it couldn't be easier for you to manage your clients and orders, simply choose which features work for you and your business including scheduled renewal e-mails and SMS reminders and many other great features you can easily integrate with your existing business. In addition to 24 hour hassle free ordering via our fully automated ordering system, you will be provided with access to our support department to assist you with the everyday running of your account. Reseller support is available via e-mail, live chat and telephone. Our support department is able to offer sales assistance, marketing material and technical guides. Our support department monitor all reseller orders and will ensure to assist you with handy tips to maximize sales and to retain customer satisfaction. With our reseller system you are able to submit orders yourself via our fully automated ordering system or allow your customers to order directly via your own customized hosted ordering pages. A simple API is also available for remote background processing and tracking of orders. Integration solutions and API documentation is available within your reseller portal and via our hosted API documentation page. When ordering a product or service via your reseller service there is a specific order process. We recommend you click the link below to learn more about this process. Click Here to find out more important technical information.